If you need a website for a hair care store than you came to the right place. 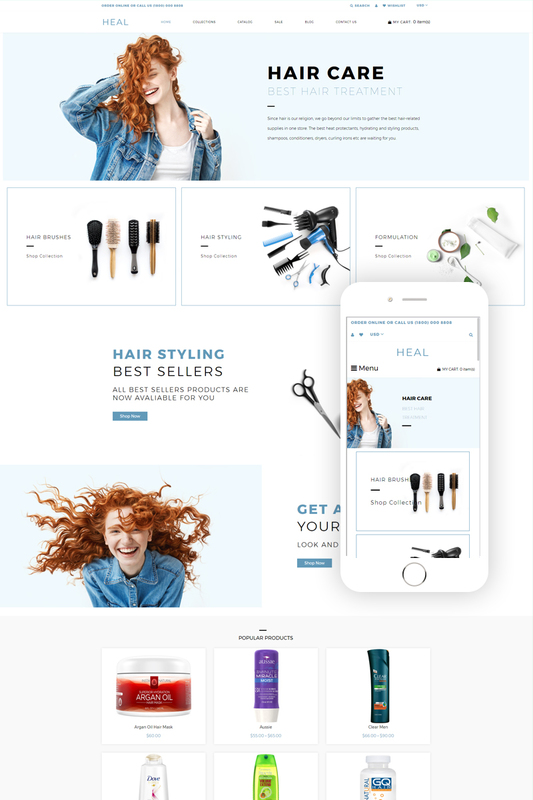 Developed by a team of professional coders and designers Heal Shopify theme is a top-notch e-commerce website theme. Seal suits beauty items stores and hair care services too. It has a bright and clean design that allows you to highlight products and most important information. In addition, Heal has eye-catchy visual effects and many pre-built pages. With Heal Shopify theme you can provide customers with comfortable shopping due to Shopify full e-commerce theme. You can also provide customers with easy navigation due to multiple pre-built pages and well-developed website structure. You can also use google maps, social options, and newsletter. Just check the product page to see all the features by yourself.